When you visit Scotland, you are likely to visit Edinburgh or Glasgow, and although both of these cities are fantastic, you might be missing out on the hidden mystic Scottish island of Iona. Only 6km long, this island is small but perfectly formed and has contributed a whole lot to the world, despite being tiny (or as the Scots would say ‘wee’!). Read on to discover more about the hidden Scottish gem of Iona. You will find this tiny island just off the west coast of Scotland, only 2km from the coast of the island of Mull. There are less than 200 residents on the island, although tourism is booming and every year, around 130,000 visitors come to visit! For such a small island, Iona certainly has a vast history. After being exiled from Ireland, Saint Columba founded his monastery on this island alongside twelve of his followers and, since then, Iona has been known as the ‘cradle of Christianity.’ For many visitors to the island, the religious history of the island is a big draw as they see it as a spiritual retreat or want to visit to the Benedictine Abbey which was founded on the island in 1203. 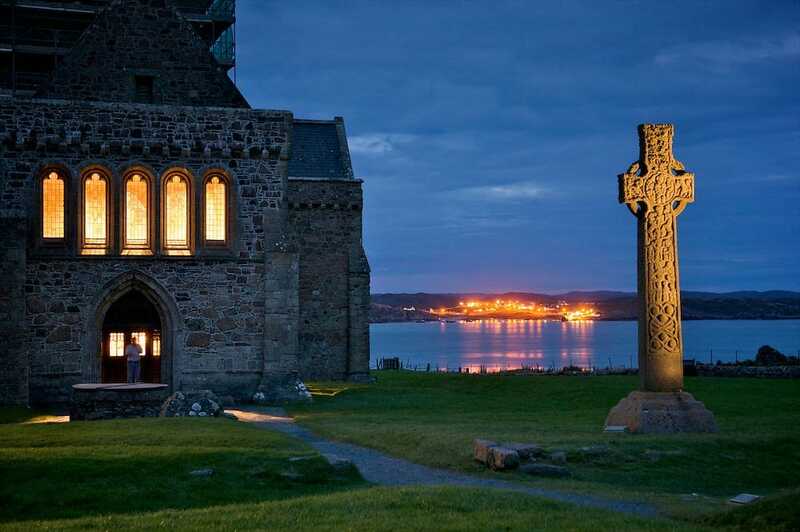 There are also over 50 Kings of Scotland, Ireland, France and Norway that are buried on the island which is another reason that makes Iona very popular for visiting. If the historical side of things doesn’t interest you, there are plenty of other things to see on this 6km long island. The nature is particularly beautiful here, particularly when you get off the shores. Offshore you can see the second largest fish in the world, the basking shark, and if you are lucky you will also spot a dolphin and even a rare sunfish! That is in addition to otters and puffins to name just a few. If you walk around the island, you will see orchids, sea holly, and various wildflowers, and if you look to the sky, you will see a huge variety of birds too including great northern divers and corncrake. The island might be small, but that doesn’t necessarily mean you will get bored! Iona has a unique golf course that is free and makes use of the natural short grass and wildflower meadows, and there are many sheltered, beautiful beaches to enjoy. 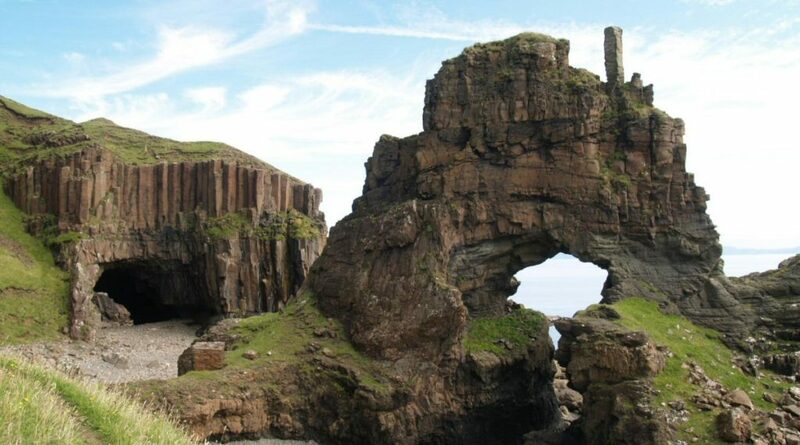 Walks are very much encouraged on this stunning island, or perhaps a bike ride if that is more your style. You will notice that there are very few cars on the island and it really adds to the peaceful feeling. Iona is a secluded island where it is difficult to be stressed. The pace of life is slow and chilled out, and it lends itself to walking through wildlife, watching beautiful sunsets and soaking up the history. It might not be the first place you think to visit in and around Scotland, but once you have been, you are likely to want to return again and again to experience the magic of this secret, hidden Scottish gem.